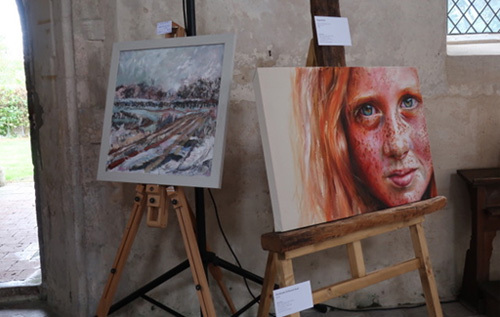 The Summer Concert and Art Show held at St Andrew’s Wood Dalling over the weekend of 8–9 September was highly successful. 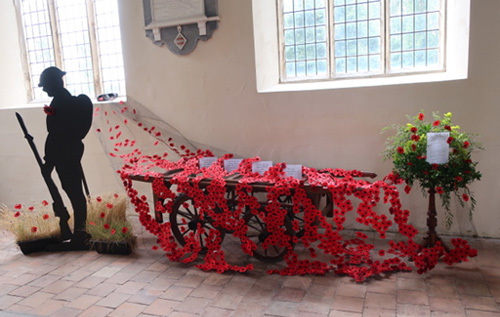 The church was beautifully decorated with a special installation dedicated to the 34 Wood Dalling men who served in the armed forces in 1915 and 1916, 16 of whom lost their lives – a devastating toll from a rural village with a population at the time of 427. The art displayed in the church was appreciated by many visitors, who commented on the high standard of work, a large proportion of which was produced in Wood Dalling. The weekend culminated with a concert of light choral music by the Wood Dalling Singers, accompanied by Andrew Mildinhall and directed by Sophie Van De Louw. A brass ensemble led by David Stowell added an extra dimension to the concert. A total of £1,040 was taken in ticket sales and refreshments from the concert, and more than £1,115 was raised from sales at the art show, all of which will go to the church improvement fund. Many thanks to all who helped with the preparation and participated in this successful and enjoyable weekend. See all up coming events. By clicking the "Create New Account" you agree to the Terms and Conditions of Reepham Life.